Even by the sieve-like standards of most smartphone launches, the HTC U12 Plus has suffered an especially leak-riddled buildup to its announcement today. You already know, for instance, that this phone has a 6-inch Quad HD+ (2880 x 1440) Super LCD 6 display. You know it’s IP68-rated for water and dust resistance, that it has dual cameras on both the front and the back, and that it has HTC’s beloved BoomSound speakers. You’ve seen the images that show the absence of a screen notch and a headphone jack. And you could have guessed that HTC would bring a new version of Edge Sense, its system for squeezing the phone to perform various actions. 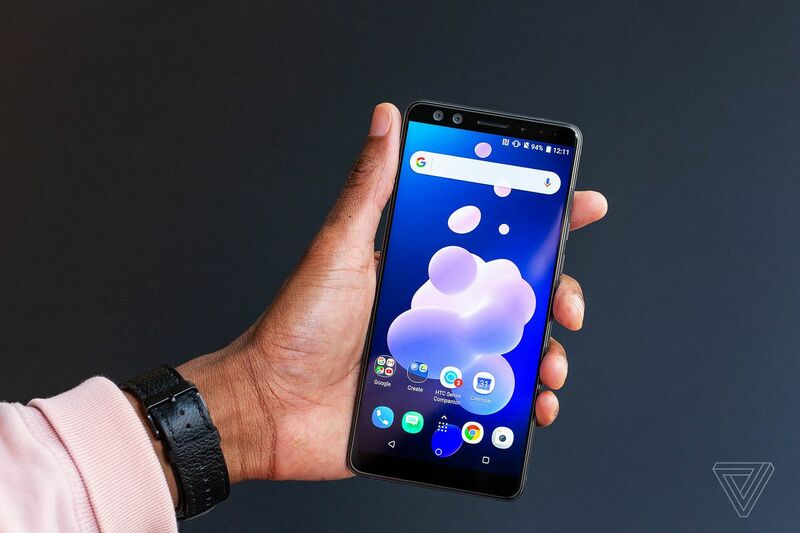 Probably the most unique thing about this phone, though, is that it also relies on HTC’s pressure-sensitive tech for the side buttons, which are now fixed in place and provide haptic feedback instead of being mechanical. And yet, there’s so much more of a story to tell about this device. I’ve already seen the U12 Plus in person and played around with it, and I have to confess a fair bit of excitement. Ergonomically, this phone steps back from the bulk of the U11 Plus and is much better off for it. Plus, the U12’s camera has me psyched already. Oh, and if you’re wondering why there’s no U12 from HTC: the company says it didn’t want to mislead people into thinking there’d be a “Plus” edition of this phone six months down the line. This is the U12 flagship. HTC’s U11 and U11 Plus both feature one of my favorite mobile cameras, inching close to Google’s outstanding Pixel devices, and the U12 Plus immediately impressed me with the first couple of photos I shot with it. One was of a croissant, where I could see every minute line and crack in the flaky crust, and the other was of a fruit and berry bowl, where each of the little hair-like stalks on the raspberries was sharp and distinct. The Huawei P20 Pro may be the reigning imaging benchmark and night photography champion, but I’m confident the HTC U12 Plus will give it some great competition in the coming weeks. Beside a good camera, a phone must also have a good display, battery, and ergonomics. HTC’s trade-off in improving the handling of the U12 Plus versus the U11 Plus is in having a smaller battery, measuring in at 3,500mAh this time. I think that’s the right decision. 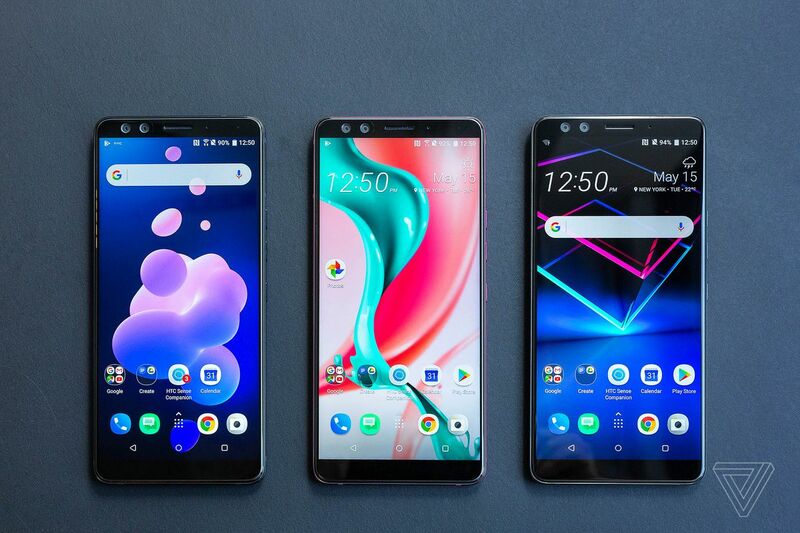 The U12’s display also looks good, though I can’t say it’s anywhere near as nice as the OLED screens on Huawei’s P20 Pro, Samsung’s Galaxy S9, or Apple’s iPhone X.
Qualcomm’s Snapdragon 845 processor is predictably at the heart of the HTC U12 Plus, accompanied by 6GB of RAM and at least 64GB of expandable storage. Canada, China, and the US will get a 128GB option, which I’d have liked to see available in Europe as well, but alas HTC has decided to only offer 64GB across the continent. HTC says this is no big deal because you have the microSD slot available, which supports cards up to 2TB in size. HTC is redoubling its efforts to offer a choice of digital assistants, with both Google Assistant and Amazon Alexa preloaded on the U12 Plus. In China, they’re replaced with Baidu Assistant. The software, based on Android 8.0, is otherwise broadly unchanged. The Edge Sense 2 system (which gives rise to HTC’s “Live on the Edge” tagline for this phone) allows you to program your own shortcuts within apps for taps, holds, and squeezes of the phone’s sides. When I tried it in beta form on the U11 last year, I found it very uneven and ultimately not especially useful, but hopefully HTC has ironed out the issues that were apparent then. I like the idea of being able to double-tap the side of my phone to launch an app, perform an action, or activate my digital assistant. It feels like a more rapid and predictable trigger than just the squeeze of last year. 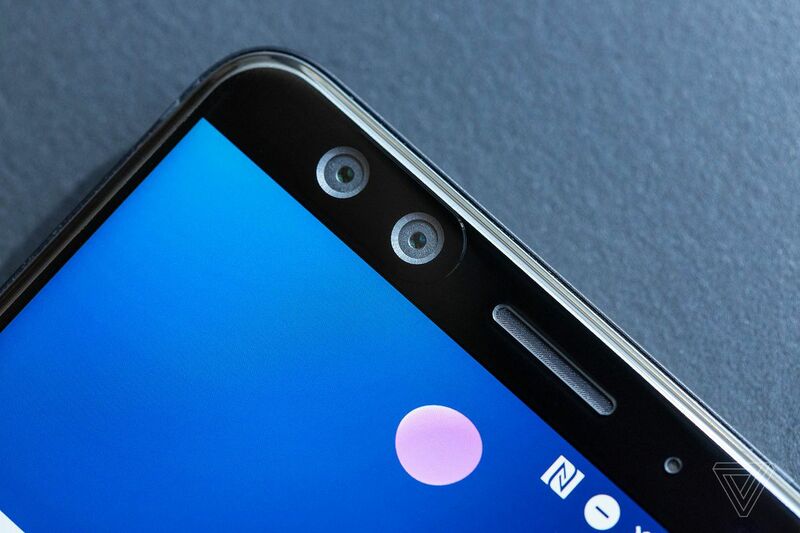 HTC also does something really clever with the pressure-sensitive sides of the U12 Plus: it interprets how you’re holding the phone and stops the screen from rotating to landscape mode when you don’t want it to. This is a small but awesome feature for anyone doing a bit of late-night reading in bed. I haven’t yet made up my mind about HTC’s faux buttons. 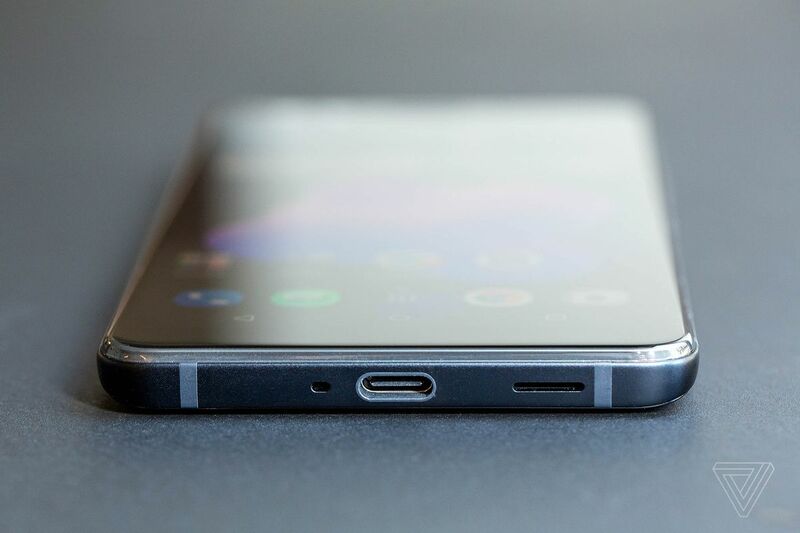 There are protrusions on the side of the phone, right where HTC usually positions its power and volume keys, but this time they have no give. You get a little buzz, just as with Apple’s unmoving MacBook Pro touchpad or the iPhone’s simulated home button click. It’ll take time to get used to this setup on the U12 Plus, though I reckon it’s generally a move in the right direction. Other than accidental drops resulting in cracked screens, mechanical parts like the side buttons are usually the first thing to break on a phone. There’s probably a good chance we’ll see more companies trying this out as we go further into the year. HTC just happens to be first. 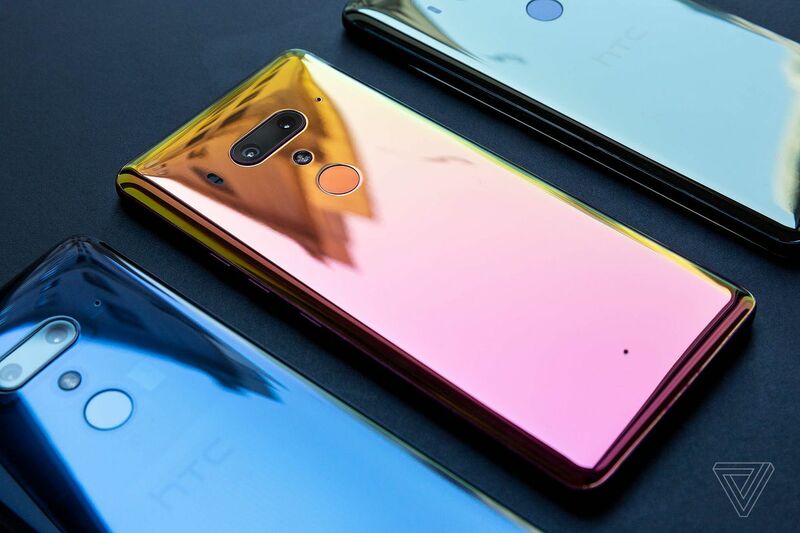 HTC was among the leaders in adopting an all-glass design early last year, and the latest iteration of its so-called Liquid Surface design includes something the company says is another first: cold-polished 3D glass. I’m not sure what the specifics of this process are (technically, I did some cold-polishing myself while trying to photograph HTC’s fingerprint-loving phone), and I can’t say I felt or saw anything different about the U12’s glass. HTC is launching this new phone in three color options: there’s a so-called Ceramic Black, which isn’t ceramic and tends to look silvery when it catches the light. 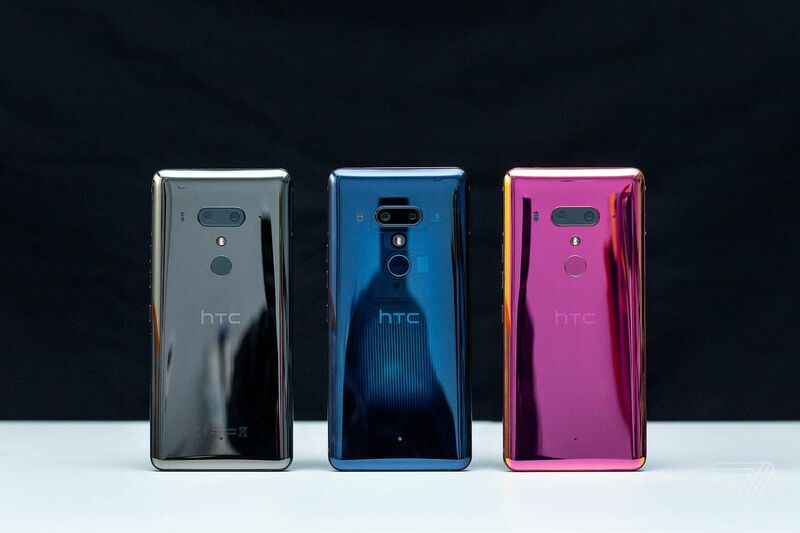 My favorite is the Flame Red (sadly not coming to the US), which is a pinker version of the Solar Red I loved on the U11. 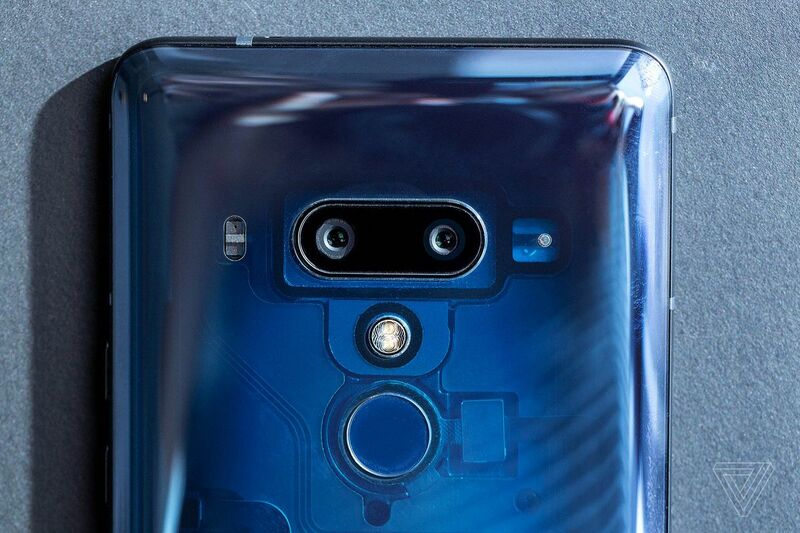 And the most widely available variant will be a Translucent Blue, which, true to its name, offers a see-through glass back so you can expose the technology inside your phone to the world. The HTC U12 Plus goes up for preorder today for $799 with 64GB or $849 with 128GB of storage in the US. Pricing in Europe is set at €799 / £699 for the 64GB variant (no bigger storage option available), while in Canada the U12 Plus will cost C$1,099 with 64GB or C$1,169 with 128GB.